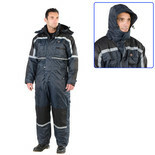 Heavy duty zip front under Hook and loop fastened stormflap. 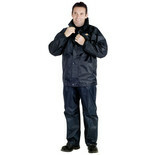 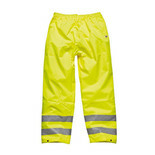 Dickies Vermont Waterproof Suit is manufactured from 100% hard-wearing PVC. 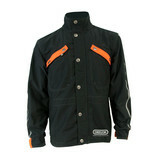 This jacket benefits from elasticated cuffs and a draw cord hem adjustment to help keep out the rain.